Russian and U.S. involvement in the civil war in Syria came to a direct confrontation when Syrian rebels fighting Bashar al-Assad used an American made TOW missile against one of Russia’s most advanced tanks. Both the United States and Russia have been supplying weapons in the conflict, the United States to moderate Syrian rebels seeking to overthrow the al-Assad regime, and Russia to al-Assad. The anti-tank TOW missiles were provided to the rebels through the CIA, which has proven a game changer on the battlefield. The confrontation was captured in a video by Syrian rebels that was uploaded on Feb. 26. The video shows a Russian made T-90 tank firing at the position of the rebels in the Syrian town of Sheikh Aqil, northwest of Aleppo, before the rebels fire the TOW missile at the tank. The anti-tank TOW missiles were provided to the rebels through the CIA, which has proven a game changer on the battlefield. It has, to a certain degree, leveled the playing field for the otherwise lightly-armed rebels. 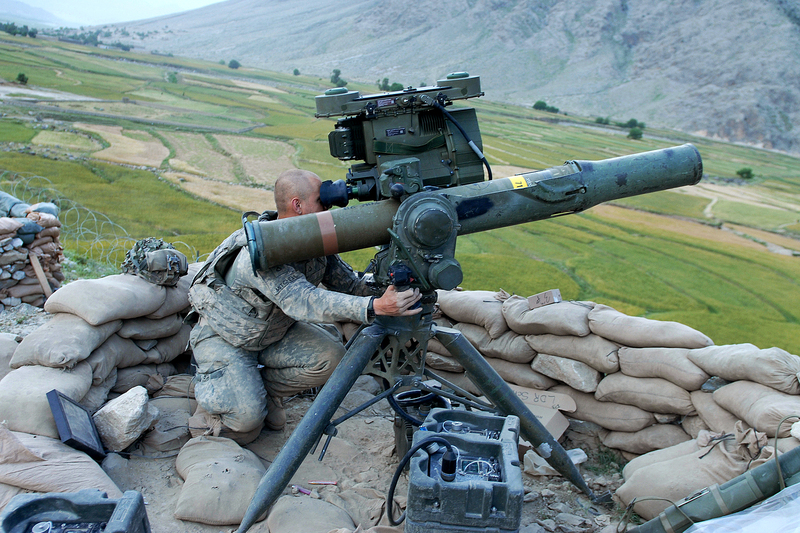 The TOW missiles can penetrate through 430 mm of armor. The T-90 tanks, among other weapons and air-support, provided by Russia to the Syrian regime are Russia’s most advanced tanks. First put into service in 1993, the tank has since had numerous upgrades. 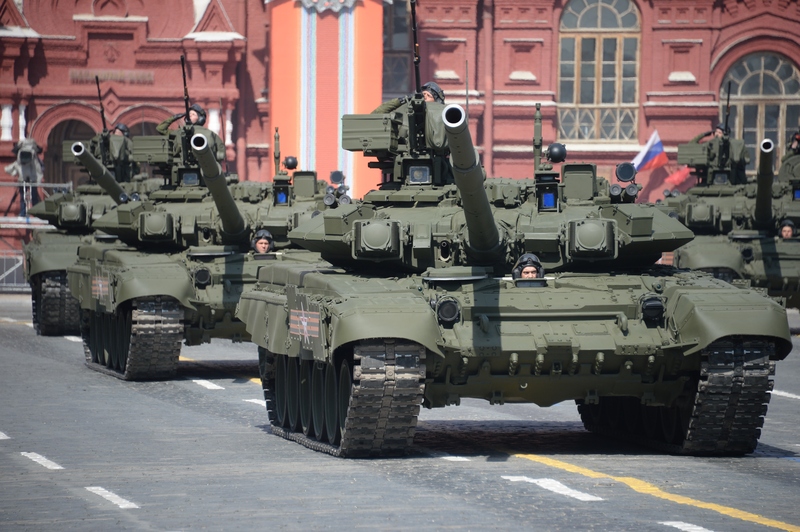 Russian media reported last year that Russia was supplying Syrian authorities with the T-90MS Tagil version of the tank. Introduced in 2011, it is the most modern and advanced version of the weapon. The tank is equipped with Relikt explosive reactive armor, which reduces penetration. Most notably the tank is equipped with a Shtora-1 system, which disrupts incoming anti-tank missiles that have semi-automatic guidance, such as the TOW missile. In the video, the TOW missile can be seen going straight to the tank’s turret and hitting it. The missile does not appear to penetrate the armor however, as soon after one of the crew members climbs out of the tank. It is unclear in the video whether the tank was being operated by Russian or Syrian forces, whether it was equipped with the Shtora-1 system, and whether it was active at the time. Some observers say that one of the hatches on the tank was open, possibly automatically deactiving the system. A U.N. backed ceasefire negotiated by the United States and Russia went into effect On Feb. 27. There has been widespread skepticism however as to whether the ceasefire will hold. On Feb. 29, a top official with the Syrian opposition has blamed the government and its allies for cease-fire violations that killed more than two dozen people, warning it will be difficult to resume peace talks next month.